Clean and devain the shrimp. In a medium sauce pan, melt butter and sauté garlic for a minute. Add shrimp and sprinkle on Italian seasoning. Cook covered for 2 minutes. Squeeze halved lemon over shrimp and then sprinkle on Parmesan cheese. 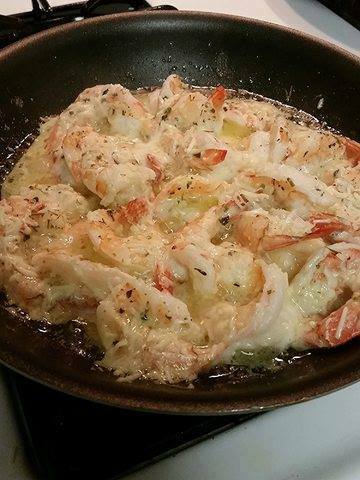 Cook for another two minutes or until shrimp turn white. Add your favorite side and enjoy!